Between restricted budgets and strains on resources, it’s not often that local authorities and housing associations can save money while also achieving a higher standard. However, Merlin Housing Society has achieved just that by recently investing in Kubota’s leading GR2120 ride-on mower. Whilst ensuring its properties are built to the highest quality is vital, their continued upkeep is also just as important to ensure residents’ expectations are constantly met. In order to fulfil this, daily maintenance is led by David Yabsley, who heads up a team of ten professionals at Merlin’s Chipping Sodbury-based landscape services team. 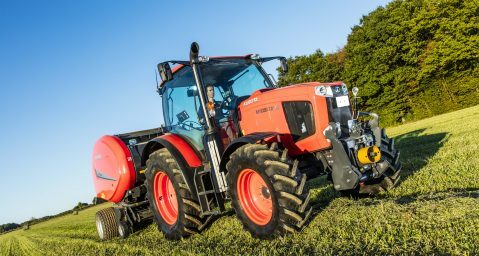 The team recently purchased Kubota’s GR2120 ride-on mower, supplied by Lister Wilder’s Cirencester depot, to support them in their completion of daily maintenance tasks. Before purchasing the mower, grass across the housing associations entire housing stock was cut and collected, requiring transport to Merlin’s Wickwar depot or recycling centre for green waste disposal. The latest addition to the fleet is saving the team valuable time and money as they no longer need to constantly empty a grass collector or haul large loads long distances for disposal. Because the versatile machine puts hours back in their day, it also means they have more time to devote to other maintenance work on their open spaces and independent living schemes. There are also additional benefits in returning finely chopped grass cuttings to the ground because it effectively feeds the surface and promotes better long-term lawns. Speaking of the latest purchase David said: “The volume of green waste we were producing was huge and the cost of dealing with it was phenomenal. The wasted time in going back to our yard or tip sometimes two or three times a day was a real strain on recourses. The 21hp diesel-powered mower is tough, easy to operate, and fitted with all-wheel-drive hydrostatic transmission. 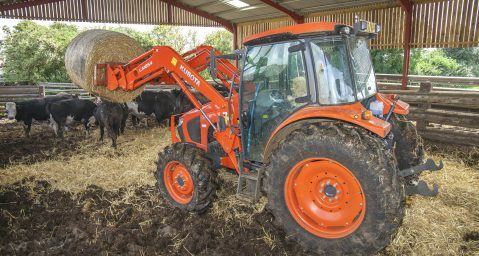 Key features include the unique Kubota Glide Steer system, which delivers a combination of manoeuvrability and turf protection as the front axle approaches its full lock of 70 degrees.